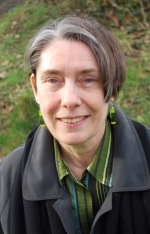 Prof. Alison Wylie has a joint appointment at the Dept. of Philosophy and Anthropology, University of Washington, and at the Dept. of Philosophy, University of Durham. She is an expert in the philosophy of archeology and in feminism in the social sciences. She is the co-editor of Material Evidence: Learning from Archeological Practice (Routledge 2015); Value-Free Science? Ideals and Illusions (OUP, 2007), among many other publications. Wylie’s abiding interest as a philosopher of science is in questions about how we know what we (think) we know, especially as these arise in archaeological practice and in feminist social science. In both contexts a flashpoint for internal debate has been a cluster of epistemic claims that many see as profoundly destabilizing: that what counts as evidence is inescapably an interpretive construct, and the role that social and contextual values play in all aspects of inquiry. Wylie argues that polarized reactions to constructionist and relativist challenges miss the point; we need to start with the messy realities of inquiry and consider how situated knowers do their best work. In Thinking from Things (2002) Wylie develops an account of how archaeologists mobilize robust evidential constraints despite the enigmatic nature of their trace evidence using strategies of triangulation, bootstrapping and scaffolding; these themes are developed in Material Evidence (2015). In recent essays on standpoint theory and the epistemic advantages of community-based collaborative practice she articulates a conception of objectivity as a procedural ideal, best realized when research communities actively cultivate a diversity of experience, angles of vision, skills and insight. These include her 2012 Presidential Address to the American Philosophical Association, recent keynote lectures on “Epistemic Diversity” (2013), and a contribution to Objectivity in Science, “A Plurality of Pluralisms: Collaborative Practice in Archaeology” (2015). Wylie also works on issues of accountability to research subjects and stakeholders, with a particular focus on ideals of stewardship in archaeology. In 2013 Prof Wylie was named Distinguished Woman Philosopher of the Year by the Society for Women in Philosophy (SWIP). I found philosophy of science very welcoming for me, as a philosopher who was not interested in doing philosophy strictly for its own sake (much as I love it), but in philosophy that engages with practice. I was drawn to philosophy of science because I worked on archeological projects as an undergraduate and postgraduate student at a time when archeologists had turned to philosophical literature for an account of what would mean to do archaeology as a science – Hempel’s models of explanation and confirmation, for example. Some of these archaeologists enlisted philosophers in their discussions: Merrilee Salmon, Red Watson, Marsha Hanen, were starting to work in the area at the time (1970s/80s). So my interest in philosophy of science originated in this experience of doing archeological fieldwork in the summer and studying philosophy in the winter and seeing that, in the context of a more general post-positivist turn, there were some exciting work happening at the intersections between science and philosophy. Philosophy of science has its own internal hierarchy and certainly philosophy of physics has long defined what it is to do philosophy of science. A number of us who were interested in the so-called ‘special’ sciences – specifically, the social sciences – found each other at PSA meetings and, comparing notes, realized that we were all having a hard time getting our work or symposia in our areas of interest on conference programmes. So when I moved to the U.S. in the late 1990s Paul Roth, Jim Bohman and I – all based in St. Louis at the time – established the Philosophy of Social Science Roundtable. It’s still an ongoing concern; I hosted our 17th annual meeting in Seattle last spring. Although the PSA is more inclusive now than it used to be, quite a number of spin-off groups have taken shape that seem to reflect the same frustrations that mobilized the Roundtable group. The best news I can think of – where inclusiveness of all kinds is concerned – is the dramatic success of the Society for Philosophy of Science in Practice (SPSP). These meetings bring together an enormously broad range of work on science in practice / scientific practice in fields as diverse as medicine and geology, engineering and physics, all across the life sciences and social sciences. And there’s always a much stronger representation of women on the SPSP programmes than for any other philosophy of science meetings I go to. I’m struck, too, that the work presented is often much edgier and more innovative than what I hear at other meetings – in the sense of pushing the envelope on what counts as philosophy of science. There’s plenty of really technical work presented at SPSP meetings, but much of it integrates social, contextual studies of science and addresses questions about the social, pragmatic implications of scientific research. I would hesitate to generalize and say that women are drawn to this practice-oriented, ‘non-ideal’ mode of doing philosophy of science more than their male colleagues, but that’s certainly what pulled me into the field and, from what I can see, it’s a draw for many who are still significantly under-represented in the field as a whole and at mainstream meetings. The bad news at this point is about numbers and climate. When Miriam Solomon and John Clarke did their count of the PSA membership data in 2006 (updated in 2010), the representation of women looked to be lower on the PSA rolls than in philosophy in general. The comparison data are iffy; the APA didn’t collected data on membership until recently and the numbers reported for Anglo-American philosophy in Women in Philosophy (Hutchison & Jenkins, 2013) come from a variety of sources (national employment and education statistics, as well as membership counts for national and subfield philosophy societies). But the picture in 2010 seemed to be that women were just 15% of PSA members compared to roughly 21% of philosophers employed in the US at the time, and there hadn’t been any change in the previous five years. Also, your 2014 climate survey report includes mention that the only difference between the PSA and HSS responses was that women in the PSA ‘disproportionately reported a lack of interest in their work’. My impression is that the representation of women at SPSP meetings is closer to half, and their work gets lots of uptake. What I take away from this is that what needs to change – the subtitle of Hutchison & Jenkins’ collection – is not just the kinds of implicit bias and patterns of interaction that put women at a disadvantage, but also the content of what we do and what we recognize as philosophy of science. Hutchison, K., and F. Jenkins (eds.) (2013). Women in Philosophy: What Needs to Change? Oxford: Oxford University Press. Massimi, M. (2014) ‘Report of the PSA Gender Climate Committee’. Report to the PSA Women’s Caucus, PSA, Chicago, November 2014. Solomon, M., and J. Clarke (2010). ‘Demographics of the PSA 2010’. Report to the PSA Women’s Caucus, November 2010. Wylie, A. (ed.) (2011) ‘Women in Philosophy: The Costs of Exclusion’ (cluster introduction). Hypatia 26.2: 374-382.